Kauwboy, a coming-of-age tale from director Boudewijn Koole, will represent the Netherlands in the race for the 2013 Oscar for Best Foreign Language Film.The drama is Koole’s directorial debut. 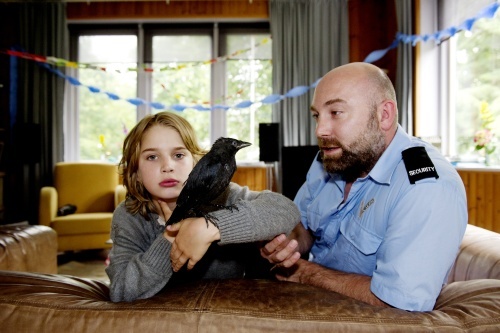 Kauwboy premiered at the Berlin International Film Festival, where it won the Best First Feature and Best Youth Film honors.The plot follows Jojo,a 10-year-old boy whose mother has left him and whose father is volatile and violent, who befriends an abandoned baby jackdaw. The relationship between the boy and his bird help to mend the relationship between Jojo and his father.Kauwboy has been a festival and audience favorite, picking up the European Film Academy’s Young Audience Award as well as the Jury prize for Best European Youth Film, Best Film and Best Actor honors at the Brasilia International Film Festival and the Jury Grand Prix at Tokyo’s Kinder Film Festival.